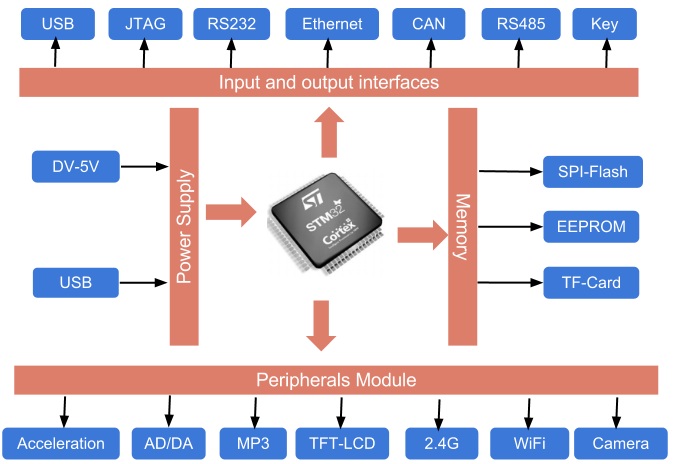 The ST Microelectronics STM32F103 Cortex-M3 core-based processor operates at 72 MHz clock frequency. 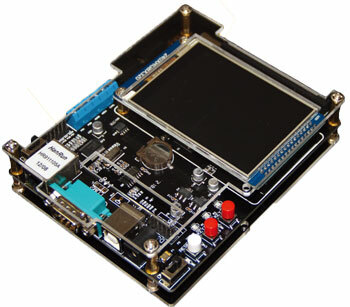 The board features USB, CAN, RS485, SD Card interface, TFT-LCD, RS232 serial interface and 40 general I/O on board. Plenty of software examples, which can be used with the Keil MDK environment, are included on CD-ROM. CoreWind also offers customer design service based on the SBC-STM32F103 board according to customer’s requirement. Whether you need to reduce, add or modify to existing hardware, CoreWind will help customers with expert competence and rich experience.